A successful California Lemon Law claim will often result in a vehicle buyback. A buyback is a refund of what the owner has paid for the defective car so far, but the manufacturer will also take certain deductions from this amount. The mileage offset is the main deduction that the manufacturer will make to a vehicle buyback. Determining the amount of the mileage offset can involve complex calculations, as well as disagreements over when the vehicle defect became apparent. Without the help of a vigilant California Lemon Law attorney, the mileage offset can become an opportunity for the manufacturer to pay you less than you deserve for your vehicle. Learn about calculating mileage offset in lemon law, and contact an experienced California Lemon Law lawyer for help in filing a claim based on your malfunctioning car or truck. California Lemon Law provides that the owner of a defective vehicle will receive a refund of what they paid for their defective vehicle in the form of a down payment, monthly payments, transportation fees, taxes, and other costs associated with buying the car. That said, the law does allow the manufacturer to deduct a portion from this amount as payment for the amount of use the buyer was able to get out of the vehicle before the problem arose that led to the buyback. This deduction is known as the mileage offset. The law establishes a formula that parties should use to determine the mileage offset: The number of miles that the buyer was able to get from the defective car before it was first taken to the dealer or authorized repair shop, divided by 120,000 (the number of miles that the State of California has set as the average lifespan of a vehicle). This number is then multiplied by the total amount paid by the buyer to arrive at the mileage offset. 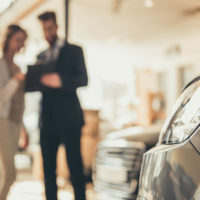 The use of a formula makes the determination of the mileage offset seem straightforward, but the offset is often the greatest point of contention after a manufacturer concedes that the vehicle qualifies for a buyback. Disagreement often centers on the date that the vehicle was first taken in for repair of the defect that would ultimately render the car a lemon. The manufacturer will try to make this date as late as possible, claiming that earlier repairs in the vehicle’s history weren’t related to the main defect. A Lemon Law attorney can negotiate with manufacturers to reach a date that accurately represents when the vehicle’s defects became problematic for the owner, protecting as much of the buyer’s refund as possible. If you’re experiencing persistent problems with your new or used vehicle in California and believe you may qualify for a Lemon Law buyback, get a free consultation on your case by contacting the experienced California Lemon Law attorney Nick Nita in Los Angeles at 213-232-5055, or toll-free statewide at 877-921-5256.